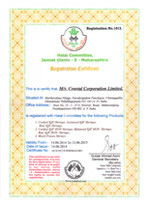 Quality Certification is attained on the basis of a combination of successful site inspections, effluent sampling, tracking of aquatic ecosystems, checking farming practices to ensure that they are compliant with international standards, taking stock of disease management, sanitation measures and more. 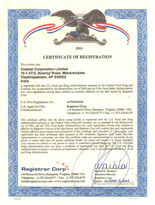 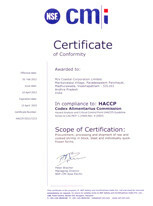 Coastal Corporation is certified for HACCP. 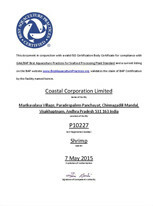 We follow the Codex Alimentarius Commission Guidelines for the Application of the Hazard Analysis and Critical Control Point (HACCP) System (1997) for the management, production, processing, marketing and export of aquaculture products (shrimps). 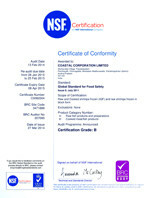 Coastal Corporation follows the BRC Global Standard for Food Safety which is a fundamental requirement for all leading retailers worldwide. 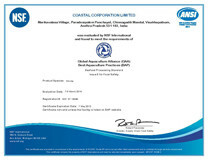 Coastal Corporation is certified by BAP which lays downs the Best Aquaculture Practices, especially production processes, approved for export to European Union, Russian Federation, USA.